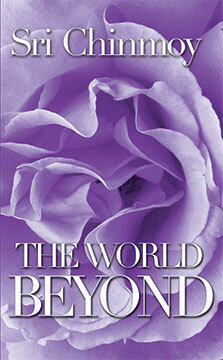 The World Beyond by Sri Chinmoy offers insight into death and bereavement informed by Eastern spiritual philosophy and the author’s firsthand wisdom as a spiritual teacher to thousands of seekers around the world. I had been meaning to write about this recently published compilation of my teacher’s writings on death and consolation in loss ever since I first read it last August. I never imagined that I would turn to such a task in the context of his own death a mere few months later. The synchronicity of this book’s publication shortly before the author’s own death proves a compelling tool to parse out teachings to help his students cope with mourning the loss of his outer presence in their lives. This book, however, is compelling under any circumstances and for any audience. It offers a glimpse into death, the afterlife, reincarnation and advice for lessening the sorrow associated with the loss of a loved one. Now I wish to tell you, Reverend, how you and your wife can console yourselves and even get inner joy from your outer loss. Please keep around yourselves as many pictures as possible of your beloved son at different times of his life. Please write down your sweetest memories of your beloved son. Then, from time to time, read those memories and become the sweetness, beauty, reality and divinity of your son’s life. While you are trying to grow into the memories, feel that your son is not only with you and in you, but for you. with your heart’s cries and your soul’s smiles. Through prayers, we develop our heart’s cries. Through meditations, we develop our soul’s smiles. Either of these two can be applicable to commune with your beloved son or to derive joy from merely thinking about him. Later in the book, Sri Chinmoy offers more practical advice in the form of a special meditation technique to try if one is visiting someone in the hospital and that person is dying. Another important message in the book is his explanation of ancient Eastern wisdom on death itself. The book begins with his mention of the soul and death from the viewpoint of the Bhagavad Gita. From this perspective, the soul is birthless and deathless and the human life is a journey experienced through countless lifetimes coming back down to Earth. The song of the birds says that there is no death. The birds fly in the sky. The sky signifies Infinity. If one remains in Infinity, then how can there be any death? So the song of the birds always declares the Immortality of the soul. Read The World Beyond by Sri Chinmoy and hear the birds sing. To purchase the book published by Aum Publications, see ordering information at SriChinmoybooks.com.